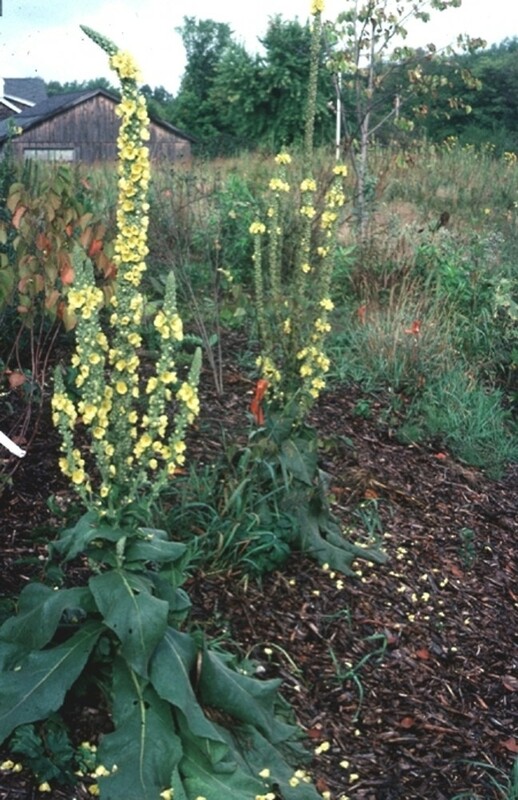 Verbascum densiflorum is native to Europe and Asia. It has only been found (to date) in Massachusetts within New England. leaves not, or only very shortly, decurrent on the stem, and floral bracts 9–15 mm long (vs. V. densiflorum, with leaves decurrent on the stem nearly or completely to the next leaf and floral bracts 15–40 mm long). 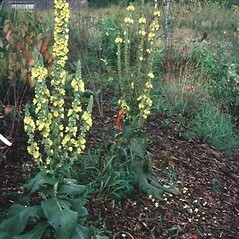 dense-flowered mullein. Verbascum thapsiforme Schrad. • MA. Wool waste.